Made it with almond flour instead to make it keto. And added bits of jalapeños to spice it up a bit (I love spicy stuff ❤️). But it was amazing!!! 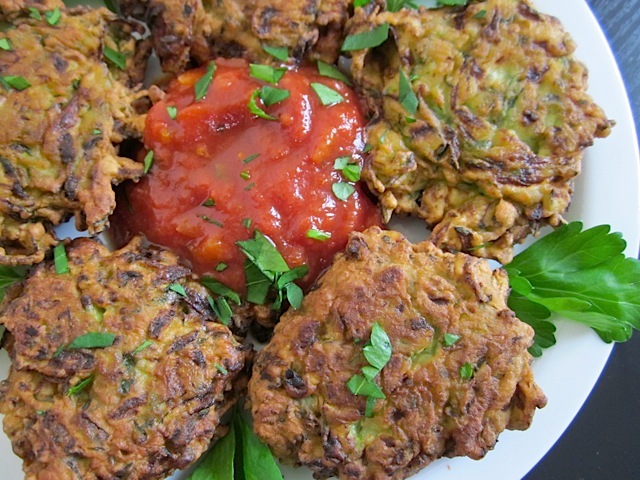 I followed this recipe to a t and my fritters were wet and cooled down soggy. 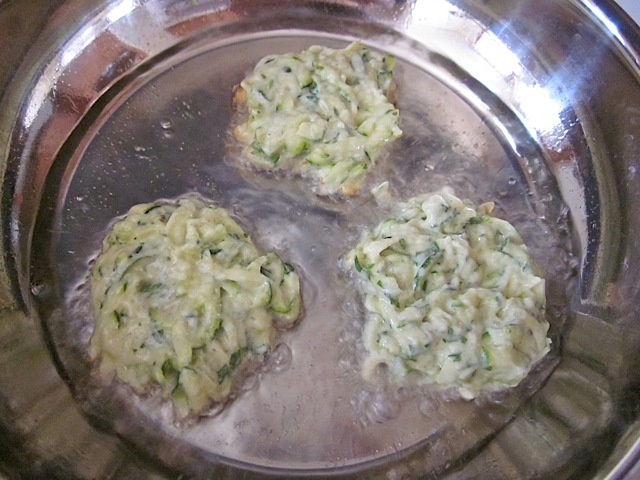 I added about 2 tablespoons of bread crumbs and they held their shape way better but were still a bit mushy., I wonder if trying to wick the moisture of the zucchini in a salad spinner or paper towels would make the texture better. Yes, that might help. 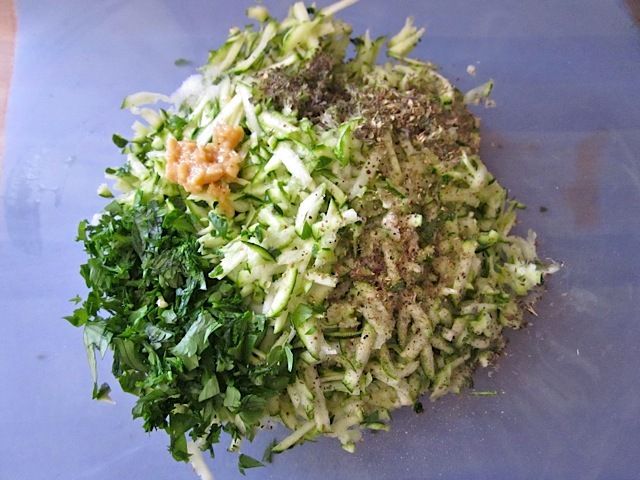 I think you can also squeeze the shredded zucchini in a clean lint-free towel to help dry it out. I didn’t know zucchini could taste this good! The seasoning was simple, but delicious, and these were really easy to make. I used extra virgin olive oil since that’s what i had on hand, so I just cooked them longer over a lower heat. They turned out perfect and my husband absolutely loved them. I’ll be making these again, but I think I’ll double it next time. Thanks for another great recipe! LOVE this recipe. I omitted the parsley (not a fan) and added some fresh grated parmesan! I’m serving them with an heirloom tomato salad for lunch! Great recipe. I skip the oregano and basil, and cook few potatoes in their skin with butter to it. I got quite sick of zucchini since we had a lot of them during the summer in our garden, but this made them enjoyable again. 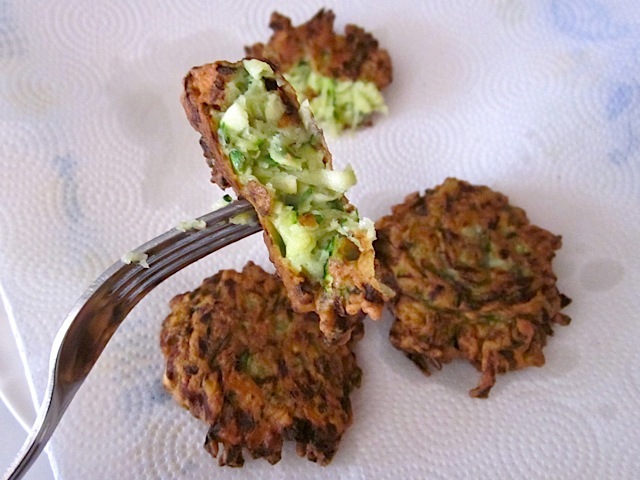 I just made these for the first time after having leftover zucchini and squash from your vegetable tian recipe (which was a hit, by the way). They are incredibly tasty and I can’t stop munching. Mine ended up looking a little like pancakes. I’m not sure how to make it look as plump as yours, but I’ll work on it again. It wasn’t very crispy on the outside either, so I may need to just cook it for longer, or add more egg/flour. Regardless, it was SO fulfilling, and I recommend it! Zoe – Oooh, that sounds great. Good question about the flavors. 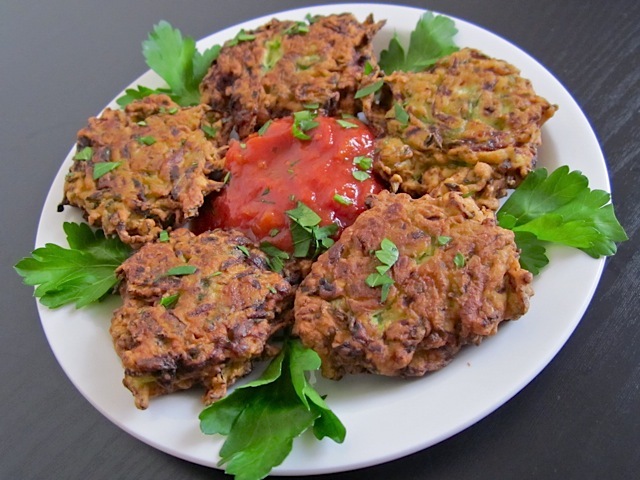 I’d say, since peanut sauce is so strongly flavored, that you’d want to keep the fritters very simple. If you had a highly seasoned fritter and then dipped it in a strongly flavored sauce, it could end up being too much. So, I’d just do a little garlic and salt and leave it at that. 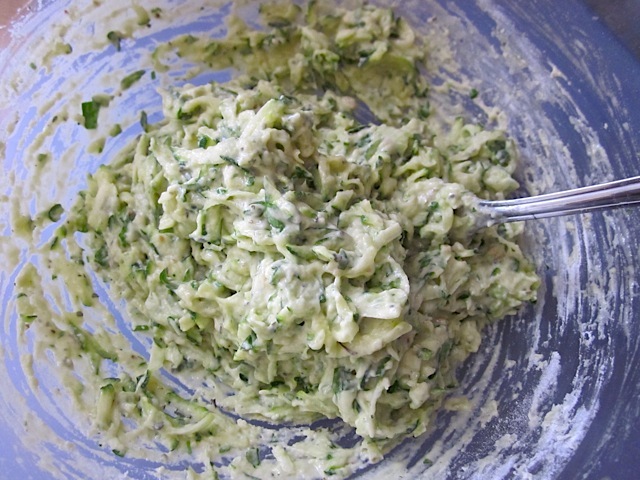 Let the zucchini flavor shine through. I’ve had these before with peanut sauce and basmati rice, and they were delicious :) Any recommendations for seasonings that would be good with this combination? I added a tiny bit of Tony Chachere’s to mine… Delicious!! Like Sabrina and Cass, my zucchini-hating husband loved these! My three-year-old even asked for seconds. 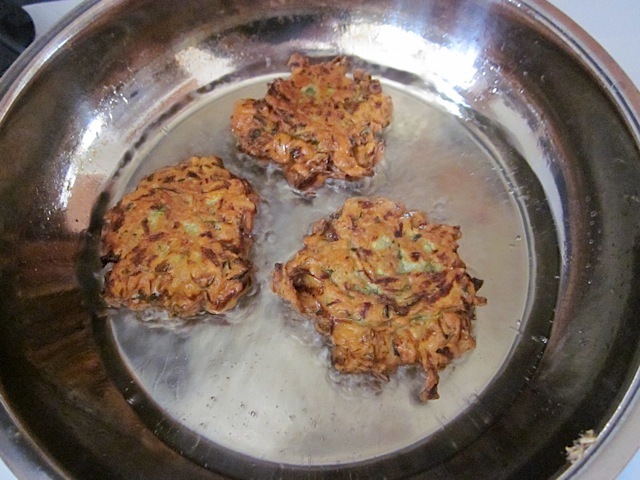 Frying foods is intimidating to me – I really have never done it – but the fritters turned out beautifully, so the recipe must be foolproof. Thank you for the easy, delicious, and inexpensive recipe! Cooked these yesterday for lunch & ate them all weekend! Tasted so yummy, especially when straight out of the pan. My husband is not a fan of zucchini but he devoured these. I liked mine with sweet chilli sauce & hubby had his with mayo – think it needed the extra flavour of a sauce. Very easy to make as well. 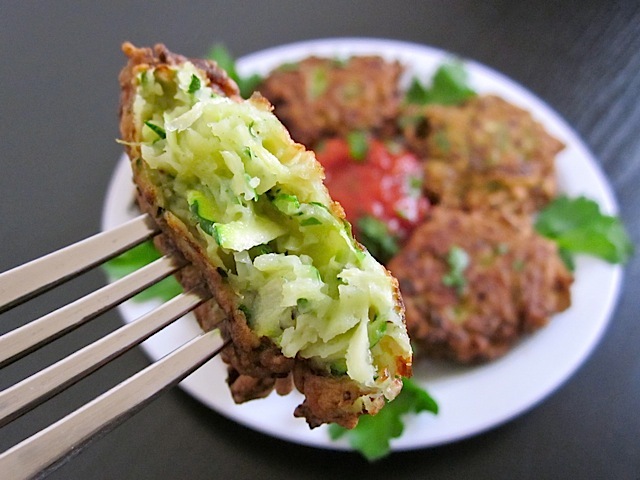 Found your fritters on Pinterest. Tried them last night and LOVED THEM!!! 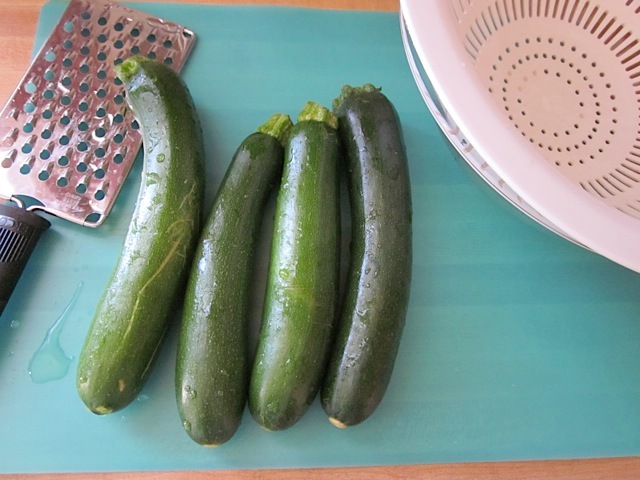 Even my very picky husband ate three of them and he loathes zucchini. Thanks for the great recipe.